Hybridisation: recovery of 25% of the energy over one drive cycle. The 208 HYbrid FE project combines ideas which until now acted against each other - Fuel Economy and Fun&Efficient, reason and driving pleasure - giving a preview of the vehicles of tomorrow. Total's researchers are continually working on developing future motor vehicle fuels and lubricants. The Group provides PEUGEOT and its networks worldwide with FE (Fuel Economy) lubricants: by reducing friction in the combustion engine, these lubricants have contributed to a 5% reduction in CO2 emissions in the last ten years with PEUGEOT engines. The Total Excellium top-of-the-range fuels also contribute to improving fuel economy. The objective of the 208 HYbrid FE is to combine real driving pleasure with low CO2 emissions. 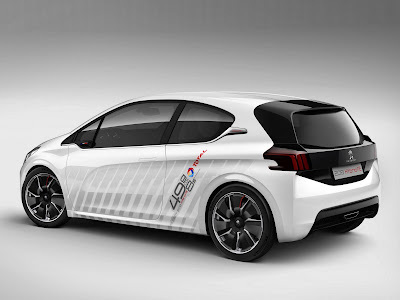 More precisely, the intention is to halve the CO2 emissions of the PEUGEOT 208, equipped with the 1.0- litre VTi 68 and to provide it with acceleration comparable to a performance hatchback, so quite a challenge! The challenge is made all the greater for the teams of the 208 HYbrid FE project as the production PEUGEOT 208 is already renowned for its weight-saving design and its latest-generation engines that allow it to offer a high-level driving experience. The HYbrid4 diesel-electric hybridisation, is part of this process. Launched as a world first by PEUGEOT on the 3008 Crossover, it has since been extended to the 508 RXH and the 508 Saloon. Over 28,000 customers of the HYbrid4 technology have discovered an new driving pleasure which combines performance, simplicity of use, silent-driving and reducing environmental impact with CO2 emissions from 88g/km. On the current generation of B segment vehicles, the HYbrid Air considerably improves fuel economy and reduces CO2 emissions. In fact, on completion of the homologated Drive Cycle tests, the figures are set at just 2.9l/100km (97.4mpg) and 69g/km. This technology is a key step towards the goal of reducing fuel consumption to just 2.0l/100km (141.2mpg). The 208 HYbrid FE combines innovations which will make it possible to achieve this record figure. Fluidity is part of the Marque's stylistic heritage, it is in its DNA. On the 208 HYbrid FE, the aerodynamics experts took the exercise to an extreme. So, the Cd improves by 25%, to a value slightly lower than 0.25 and a real feat on a conventional vehicle where the passenger space and boot are maintained! To achieve this, the air is parted by the 'floating grille' redesigned for permeability and reduced by 40% to just 5dm². In fact, as the engine has been modified for efficiency, it duly requires less cooling. On the body sides, any flow disrupting components has been eliminated to help improve the aero performance. The tyres, specially developed by Michelin, are of the Tall&Narrow type, ie: of large diameter and narrow width. They are fitted on 19" alloy wheels on which the carbon aerodynamic flaps fill the space between each spoke. Cameras provide the rear vision, the image being reproduced on board on the interior mirror reminiscent of sporting disciplines like endurance racing. The rear track also contributes to this efficiency by being narrower by 40mm, further reducing the Cd. Finally, the design of the roof extends in an almost horizontal movement leading into the tailgate spoiler. The rear aspect, with chamfered edges, has an air deflector in its lower section. It deflects the airflow which passes under the vehicle without hindrance due to the completely flat floor. Finally, to reduce its environmental footprint as much as possible, the LED lamps of the 208 HYbrid FE have thin vertical fins, inspired by the Onyx Concept supercar. These features minimise the air flow turbulence. When it was launched, the PEUGEOT 208 hatchback shook up the segment, notably due to its light weight - from only 975kg at the Access level. This performance is remarkable, but in the future vehicles will need to be even lighter while still providing the high levels of comfort and safety. Taken from the end of the assembly line, the 208 retains its metal structure. Composite components replace bodywork panels and the floor, further reducing the weight of the body shell from 295 to 227kg. The one-piece outer skin (weighing just 20kg), the flat base (8kg), the door panels (c2kg) and the lower front panel are made from carbon fibre. The bonnet (5kg) and the wings (c2.1kg) are constructed from a composite VER/Carbon, a material which is half the weight but with comparable structural properties. It is obtained from a new type of resin which can be used untreated, painted or colour-dyed. Finally, with the exception of the door windows, the glazing uses polycarbonate to further save 5kg. The 208 HYbrid FE innovates in its use as this material has up until now be reserved for headlight lenses. It reduces the weight by more than 50% compared to conventional glass. The 208 HYbrid FE rests on innovative pseudo MacPherson suspension with a 'glass fibre resin' composite transverse located blade. 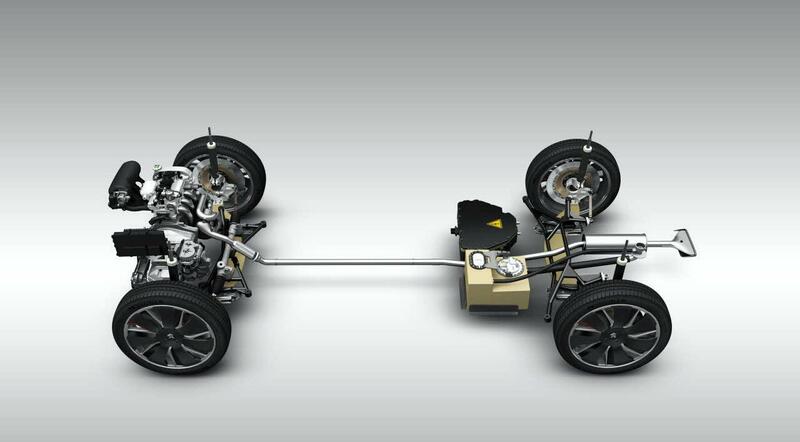 It replaces several components: suspension springs, lower wishbones and anti-roll bar. The front blade also has varying flexibility along its length. Designed and produced by Hutchinson, using these two blades saves 20kg. The wheel rims house large brake discs 380mm in diameter and 9.6mm thick. They are rigged with two-piston callipers, 44.5mm at the front and 31.8mm at the rear. On braking, the reduced effort on the pedal and the intervention of the electric motor mean that the supplementary braking assistance can be eliminated. The composite door trim pads are developed by Total's Polymers Division using Polypropylene reinforced with natural fibres. Its excellent structure, rigidity and impact absorption properties are accompanied by a reduction in weight of up to 15% and mean a reduction in the carbon footprint of these components. The centre console and vent trims are of VER resin (CCP Composites) left untreated to offer an appearance not previously seen before. In fact, their slightly amber honey colour reveals the natural fibres through transparency. The weight reduction techniques have also been applied to the petrol engine and the gearbox. The 208 HYbrid FE is driven by a petrol-electric hybrid powertrain, which combines development of the latest generation of 3-cylinder engine with a battery and an electric motor taken from PEUGEOT Sport's Endurance programme. Special engine management and special software control the entire drive train. Overall, the efficiency of the powertrain increases by an impressive 10%. The 3-cylinder engine has undergone several modifications: optimisation of the engine operational cycle, reduction of friction losses, thermomanagement... All of these advances lead to fuel economy improvements by 10% yet with power maintained at 68bhp (50kW). The Miller Cycle is accentuated and the compression ratio modified from 11:1 to 16:1 to increase the engine's thermodynamic efficiency. This can lead to self-ignition of the mixture (or knock), which is potentially destructive. To prevent this, several actions were taken. So, the rate of unburned elements in the combustion chamber is reduced by valves of increased diameter, redesigned exhaust pipes, a redesigned manifold, and an adapted valve lift pattern. Furthermore, the heat exchanges are optimised in the cylinder block due to coolant passages arranged between the cylinders. The coolant now passes through the cylinder head along its entire length to recover the heat around each source: combustion chambers, between injectors and spark plugs. The friction losses are a challenge as they represent approximately 1/5th of the power consumed by an engine. On the 208 HYbrid FE, they are reduced by approximately 40% notably by the crankshaft, the pistons and the Gudgeon pin, the piston rings and the camshaft followers. These components are given a diamond-like Carbon coating and are geometrically optimised. This virtuous circle affects all of the areas explored by this technological demonstrator. So, the size of the radiator is reduced, benefiting the aerodynamic properties. The alternator, the starter and the reverse gear are eliminated, reducing the weight, mechanical losses, but also in its overall dimensions. The base of the production piloted manual gearbox is retained for its high efficiency and its integrated actuators. The casings cut from a solid block houses a cascade of gears to connect the electric engine to the differential crown wheel. To reduce friction losses, the teeth of the gears are given a tungsten carbide chrome coating. The greasing is redesigned to reduce the volume of lubricant necessary and prevent splashing over the gears, which also consumes energy. Now, the lubricant is moved to the highest point by the final drive crown wheel before circulating through gravity over the entire mechanism. The prototype gearbox oil is developed by Total Lubricants based on bio-sourced oils, of 75W grade with a very high viscosity index (higher than 250). This produces a 3% reduction in consumption, and becomes a preview of the lubricants of the future. Taken directly from a competition environment, a fluid grease of low density also reduces the quantity deemed necessary. Its longevity is assured by operation at a lower temperature due to a reduction in friction and finally, the hub bearings adopt a special fluid grease, which adheres but limits friction losses. A special engine oil of extremely low viscosity has been developed by Total Lubricants using ultrafluid based oils and by the addition of friction reducing agents containing molybdenum. Of grade 0W12, this oil develops its properties very rapidly with a shorter temperature rise time. Optimised as regards friction, it retains, both when hot and when cold, an advantage compared to the best products on the market. Thus improving fuel economy, here again a few more grammes are saved! 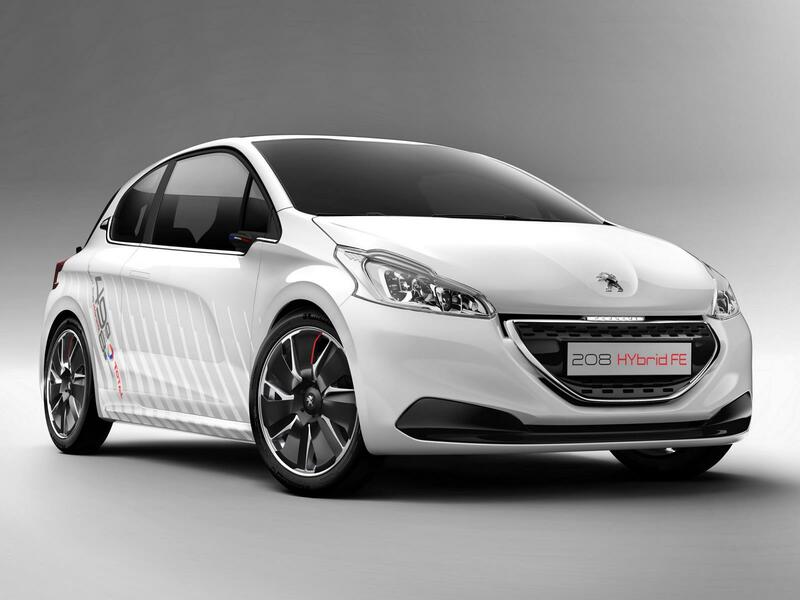 The project has benefited from the expertise of PEUGEOT Sport with its experience acquired in endurance competition. 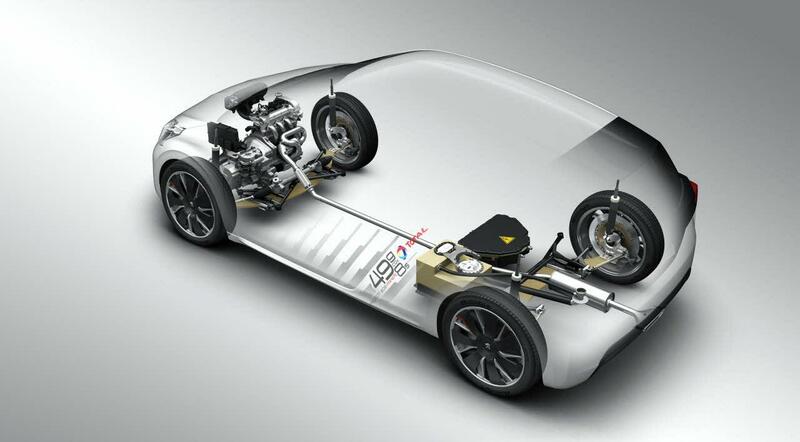 So, the electric motor and the battery are those developed for the PEUGEOT 908 HYbrid4 endurance race car. A special architecture The electric machine combines power and lightness as, at only 7kg, it develops 30kW as a motor and 100kW as a brake generator. In both modes, its torque reaches a maximum of 30Nm. Proportional to the speed of the vehicle, its maximum speed is 40,000rpm. This electric motor provides the reverse gear function, by inverting the direction of rotation, and the starter function. It also provides access to ZEV driving, purely electric. The Lithium-ion battery, which has a capacity of two usable MJ or 0.56kWh, consists of 0.56 cells of 90V each. They are arranged in groups, which permits the ability to isolate one if deemed necessary. To ensure that this strategic unit is cooled correctly, Total has developed a special oil for circulating in the dedicated radiator. Weighing 25kg, it is installed, with the 20-litre petrol tank, on a subframe which is bolted underneath the vehicle directly below the rear bench seat. Here, sporting experience is demonstrated with improved weight distribution. For the inverter and the ECU, these are installed under the bonnet in the space left free by the braking assistance. The hybridisation has no effect on the interior packaging, so the inside the vehicle the passenger space is maintained. During deceleration phases, whether by releasing the accelerator pedal or through braking, the vehicle is slowed down primarily by the electric motor. The hydraulic braking only comes into operation at the end of braking phase to maximise the recovery of the energy available. Over one homologation cycle, this recovery is 25%. Then, on acceleration, this energy is returned and assists the petrol engine according to various parameters: acceleration dictated by the driver and the gear selected. The PEUGEOT and Total teams, who have been working for months on creating this technological demonstrator, can be justifiably proud. Up until now, there have been low consumption vehicles and high performance vehicles. For the first time, these two qualities are combined in the same vehicle. engine and gearbox: 20% that is 10g. The 208 HYbrid FE proves itself beyond the figures. Due to the virtuous circle in which the two partners became involved, the driver enjoys new experiences at the wheel of this technological demonstrator: acceleration worthy of a GTi with mixed fuel economy of 2.1 1/100km (112mpg). Without any loss of comfort or ease of use, the driver will rediscover a direct link with the road due to the elimination of the powered, energy-consuming assistance. The 208 HYbrid FE proves that the emotional aspect will always have its place in a PEUGEOT vehicle, even in an increasingly restrictive energy and environmental context. PEUGEOT and Total are the major players in a modern vision of the motor vehicle.